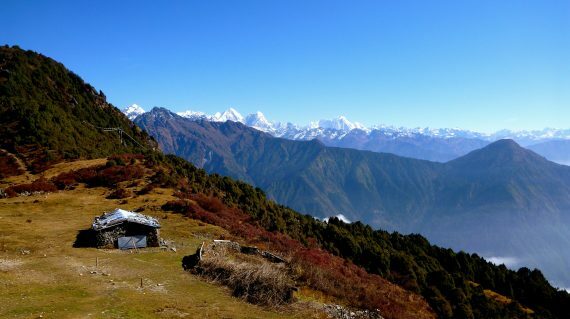 This Helambu Gosainkund Trek is a combination of two treks. 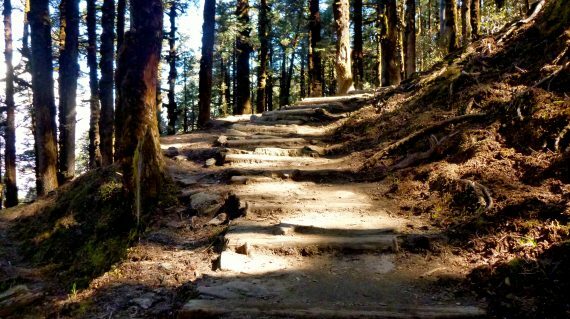 Together, this amazing route leads you through rhododendron and bamboo forests with an abundance of wildlife. As a result, you will see majestic waterfalls and have a chance to bathe in soothing hot springs. And, of course … visit the holy lakes of Gosainkund. 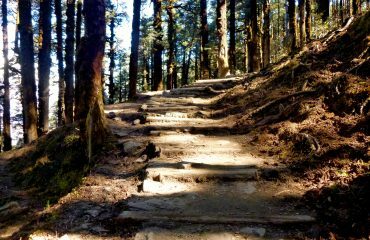 All about the Helambu & Gosainkund Trek. 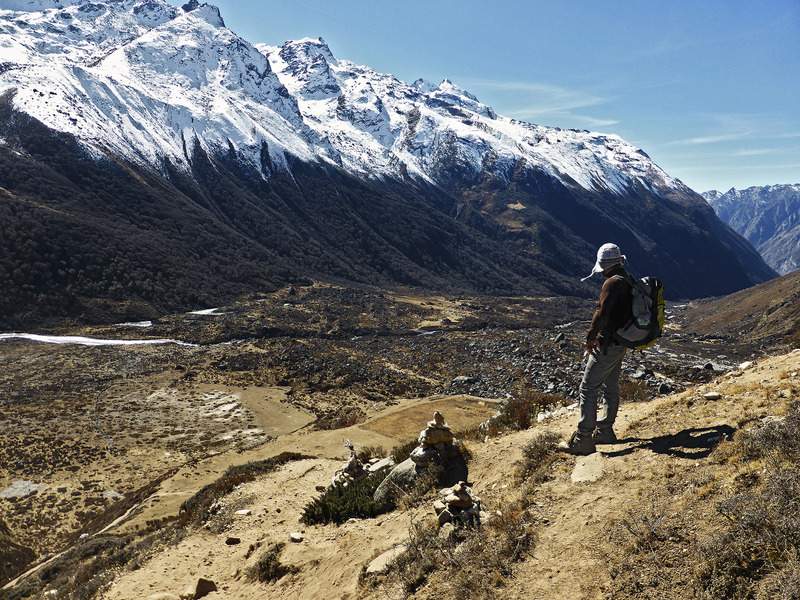 Helambu and Gosainkund together form a unique trek with the best of two worlds. 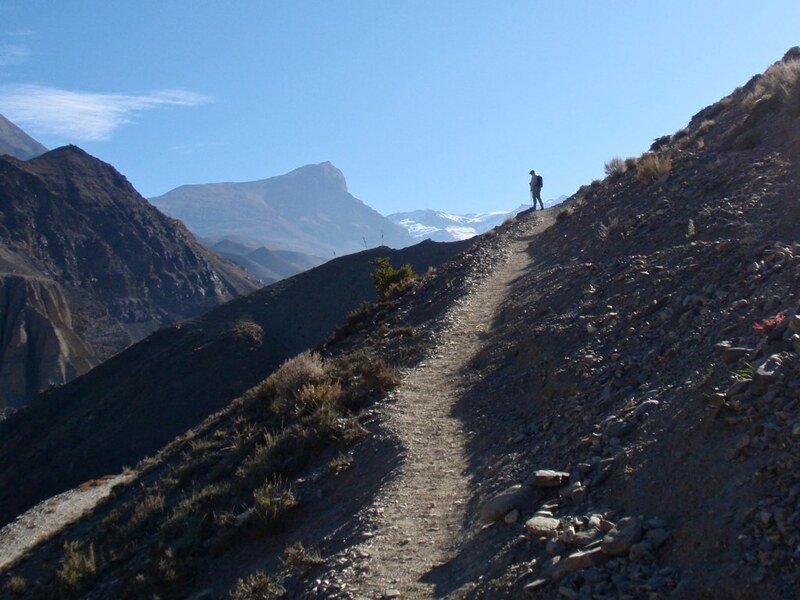 Next to having the views of both treks, you will have the advantage of allowing yourself to acclimatise before you reach the higher elevations of Gosainkund (4380m). The Helambu area is surprisingly peaceful and calm. 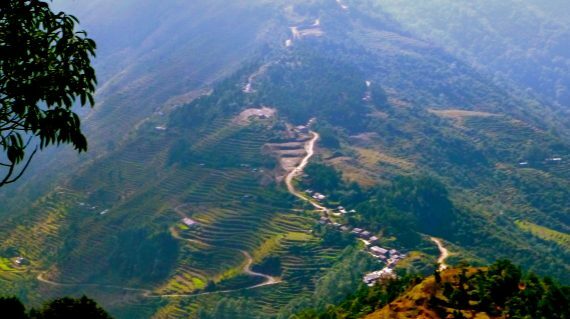 The landscape is classic Himalayan foothills, with plenty of dramatic rises and plummeting descents. 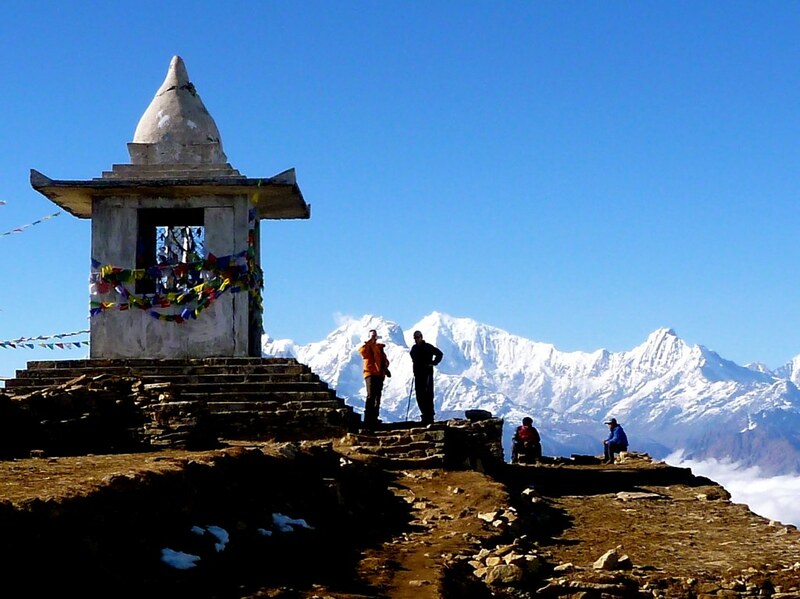 Gosainkund is the area with the holy lakes of Lord Shiva. 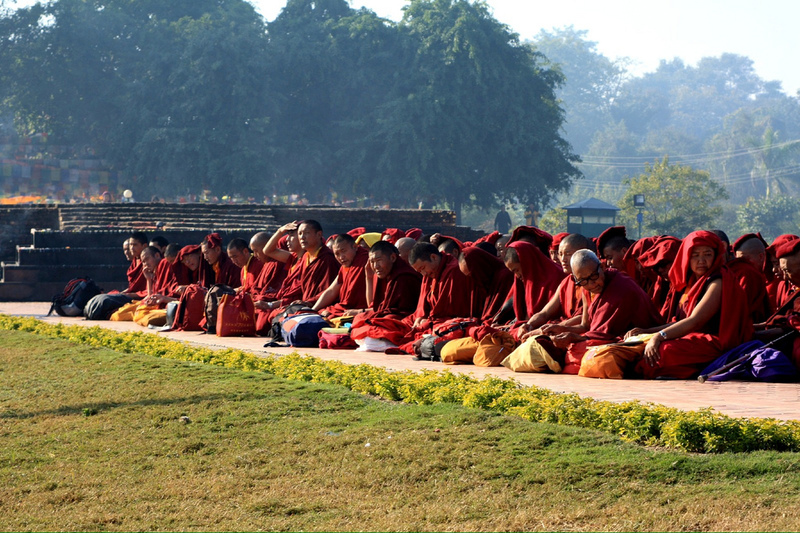 This is a pilgrimage place that attracts up to 20,000 Hindus during the August full-moon festival of Janai Purnima. It is believed that Lord Shiva created this holy lake with his trident.The lake is also sacred to Buddhists, who have lined the shore with hundreds of cairns. 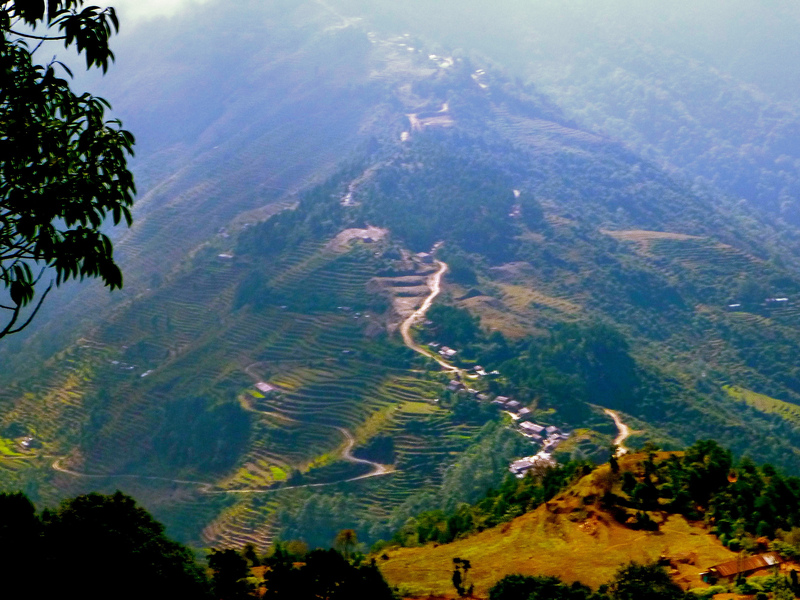 If this 16-days trek is a bit too long, you can do a part of this trek instead. 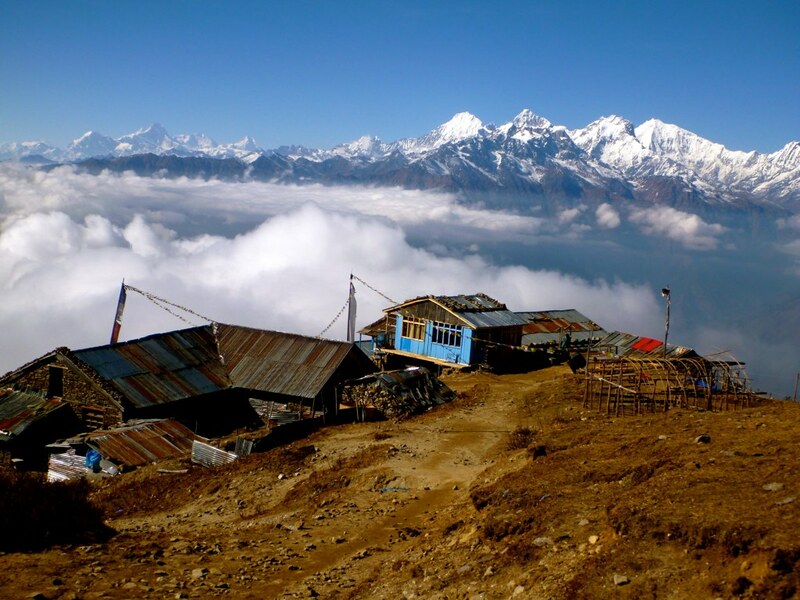 For instance the 6-days Helambu Trek or the 8-days Gosainkund Trek. By Mountain People welcomes you at the international airport and brings you to your hotel in Thamel. Later this day, we will meet at your hotel or at our office for a pre-trip meeting. We introduce you to your guide and talk about your itinerary. If you have any questions or requests, we would like to hear them from you. Note: Please make sure you bring your passport to the meeting along with three copies, two photos and a readable copy of your travel insurance policy. We also request you to clear the due balance if any. We set off early morning by taking a private vehicle to Syabrubesi (1470m). 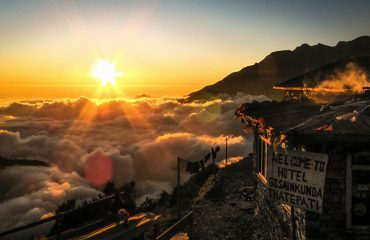 This place is the trailhead for the Helambu and Gosainkund trek. There is a string of well-stocked roadside shops and lodges. The original settlement of Syabrubesi is on the east side of the river. Today your trek begins! The trail branches off the main road and you cross the Bhote Khosi river by walking down a suspension bridge. At the far east end of the village, you will see a village gompa (monastery) in a small stone building. 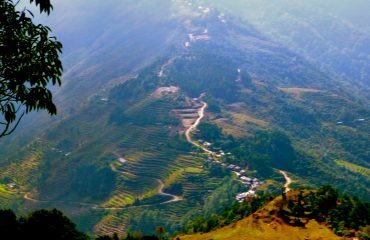 After passing the gompa and leaving the village of Syabrubesi behind, you cross another bridge and cross the Langtang Khola. You follow the river and walk through a forest where langur monkeys frolic in the trees. You pass a waterfall, climb over a rocky ridge and have lunch at one of the settlements along the trail. 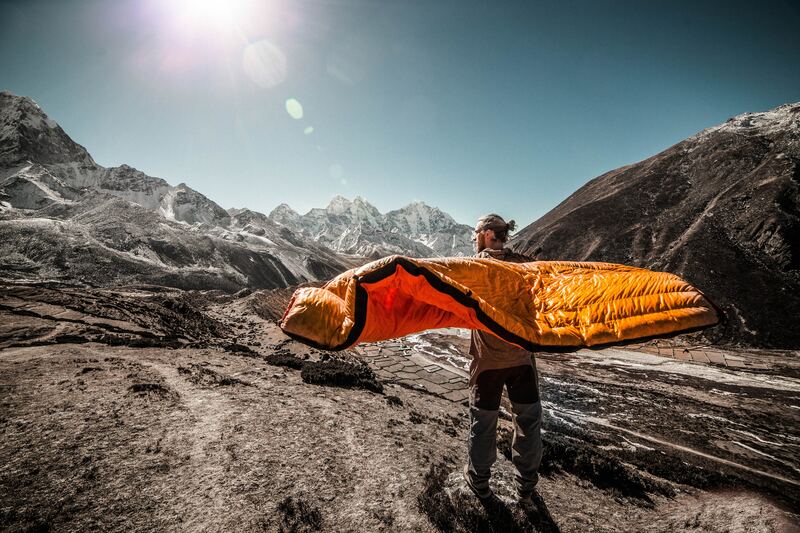 By crossing Langtang Khola again, you get near Lama Hotel, your place for tonight. Here the forests have become sparser and drier, consisting mainly of scrub oaks, cactuses and nettles, as opposed to the damp forest of large pines on the shady southern bank where you came from. 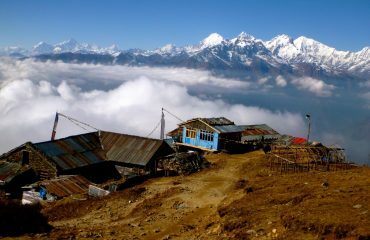 Trek to the Langtang village (3307m). 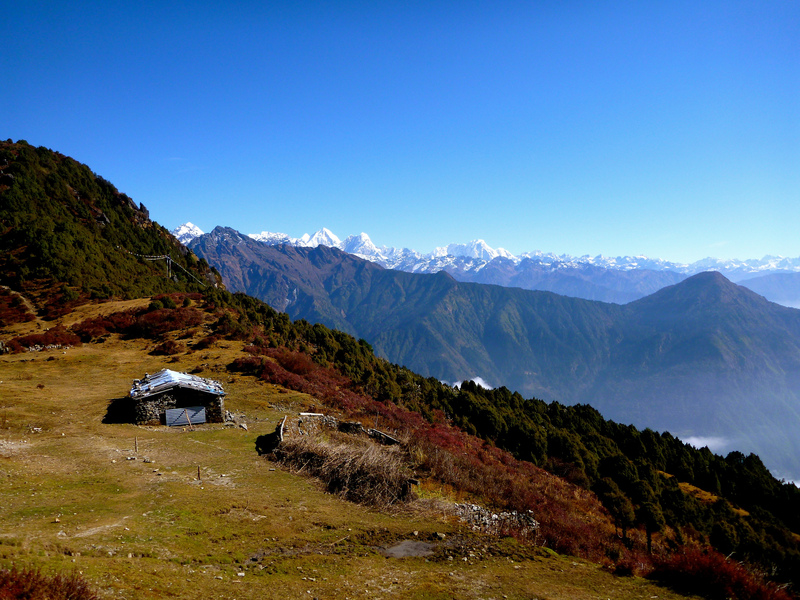 Trek to Kyanjin Gompa (3798m). 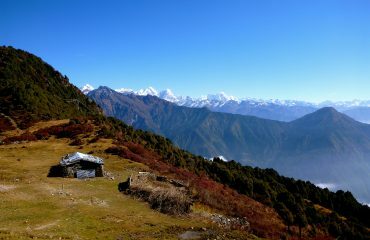 Trek back to Lama Hotel (2500m). 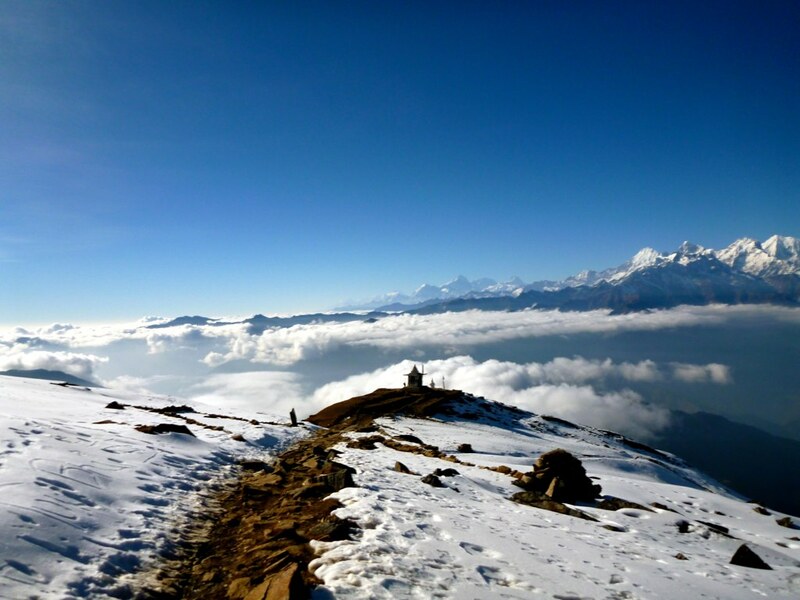 Trek to Thulo Syabru (2250m). 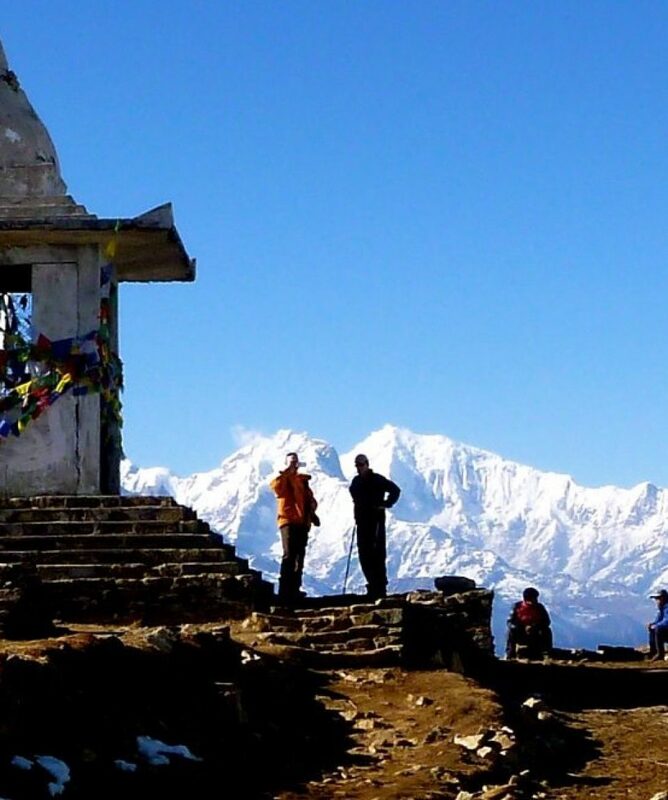 Cross the Laurebinayak pass (4610m) then trek to Ghopte (3430m). 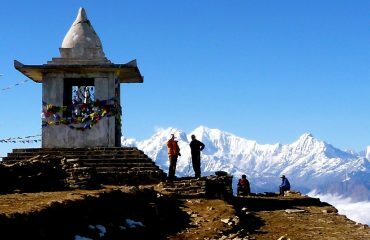 Cross Tharepati pass (3490m) then trek to Melamchigaon. 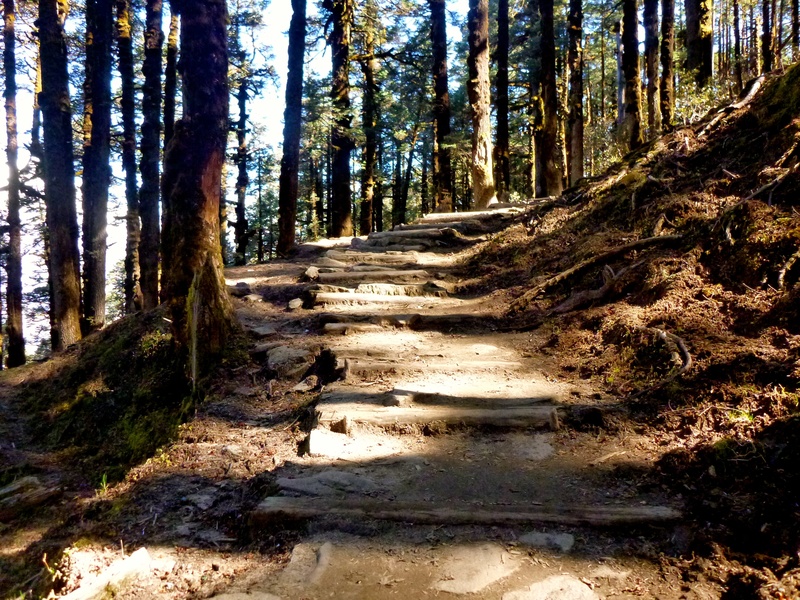 Trek to Melamchi Pul Bazaar (846m). Drive from back to Kathmandu. In the evening, we offer you and your guide a farewell dinner together in a traditional Nepalese restaurant. If it’s the final day of your holiday in Nepal, we will bring you back to the international airport. Goodbye friends! We hope that we will meet each other again in the future. 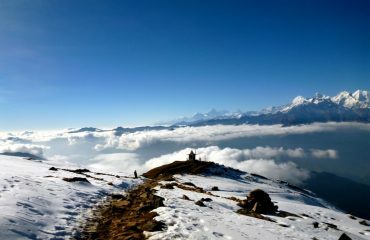 In Kathmandu, before and after your Helambu & Gosainkund trek, you will be staying at a 3-star hotel with a private bathroom and wifi. These hotels have a prime location. In Kathmandu you will be staying in the travellers neighbourhood Thamel. The hotel is nearby many restaurants, trekking gear shops and supermarkets. 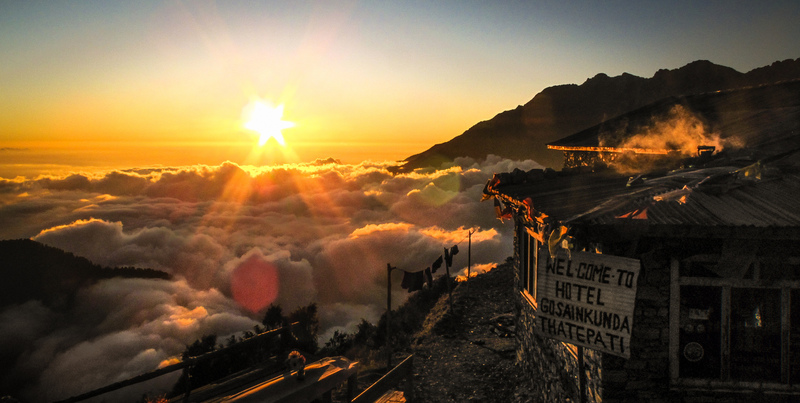 During your Helambu & Gosainkund trek, you will be staying at mountain lodges. Here are double rooms and shared bathrooms. Hot shower and wifi are also available for an additional fee. 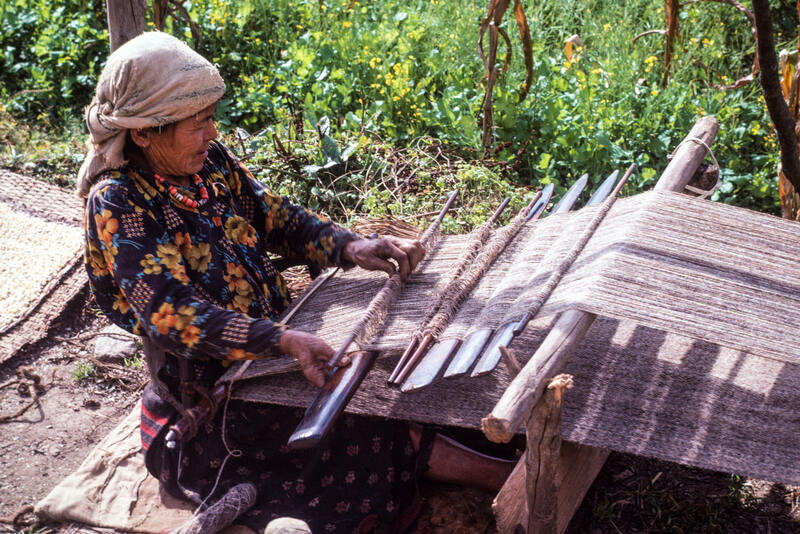 Gosainkund Helambu by Rick McC. 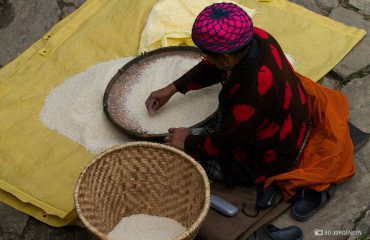 ♫ Welcome to the Hotel Gosainkunda ♫ by Drouyn C.
Dolma lady sorting rice by Bo J.